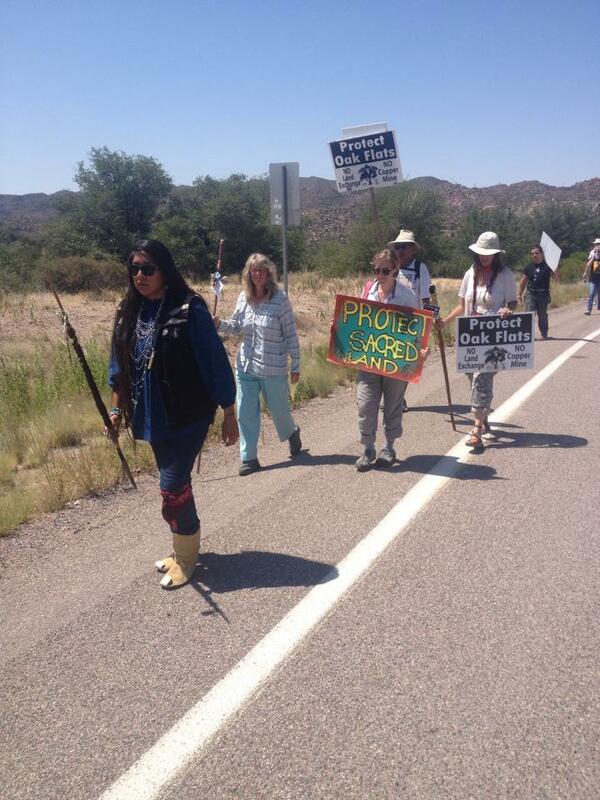 Sally Noedel recently walked with her daughter Emma Bigongiari to Oak Flat, Arizona–a 1,000-mile trip to raise awareness of plans to allow destructive mining in a desert river area that is sacred to the San Carlos Apache people. Sally says that she and her daughter–who was taking a gap year between high school and college–had an amazing journey, spending hours together, traveling in National Forest land, meeting people along the way, and culminating in a few days with tribal elders and other residents in Oak Flat. The women took their journey after learning about Resolution Copper’s plan to mine the area using a process that will destroy sacred sites, damage a desert ecosystem and decimate recreational bouldering areas. There have been ongoing efforts by indigenous people, environmentalists and others to encourage Congress to rescind its legislation that gave rights to 2,400 acres of National Forest land in Arizona to the Australian/British conglomerate–one of the biggest mining companies in the world. Sally plans to share photos and stories in a one-hour talk, 7 p.m. on Thursday, Oct. 15, at Bainbridge High School in the 300 building. 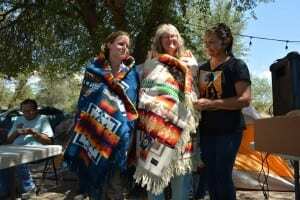 To learn more and read the blog the pair wrote visit http://WalkToSaveOakFlat.com. Credits: BCB host and audio editor: Reed Price; publishers Diane and Chris Walker.